What's happened to the 'Jungle' migrant camp? What has happened to the last children remaining in the Calais Jungle? The French authorities have been carrying out the demolition of one of the biggest refugee camps in Europe known as the "Jungle". 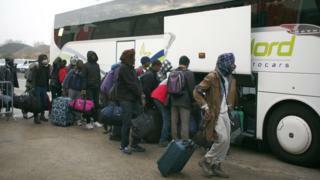 Several thousand people who lived at the camp were moved to new homes around France last week. However, around 1,500 children still remained living at the camp in temporary shelters. 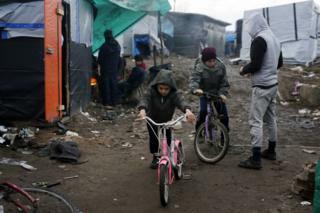 A week after the demolition first begun, these children have now been taken to special centres around France where they can be properly processed. But why were these people being made to move? And why were they in Calais in the first place? 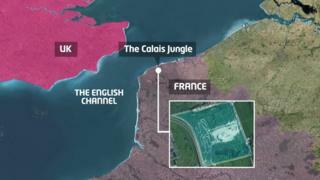 The jungle is situated at a place called Calais, which is on the north coast of France, right near to the UK. Many thousands of people travelled across Europe and arrived at Calais in order to try to cross the English Channel to reach the UK, where they believed they could live a better life. This is because Calais is one of the main ports for travelling from France to England, with lots of vehicles, ships and trains that travel to England from here. However, the refugees were being stopped at Calais before they could complete the last part of their journey, as they are not allowed to simply enter the UK without going through an official process. This means they had to set up temporary homes at Calais. As a result, the jungle had become home to thousands of people, desperate to finish their journey and make a new start in the UK. Earlier this year, authorities in France announced plans to close the camp and an area of it was cleared. However, the final demolition of the Jungle shelters has now been completed. The authorities did this because they did not believe it was a situation people should be living in, and they needed to find a better solution. People had been living in very poor and dirty conditions. Furthermore, there were reports of violence and trouble in the camp, meaning it wasn't always a safe place for people to live. 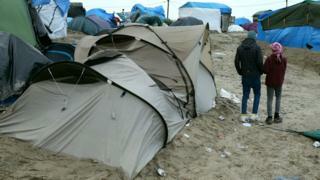 Local people in Calais had also been campaigning for the Jungle to close down, as they did not want it in their area. Many of those living in the Jungle had been making desperate attempts to reach the UK quicker, by jumping onto lorries that are travelling to England. This is extremely dangerous and is also illegal. What's happened to the people who lived there? The thousands of people who lived in the camp have been made to leave their temporary homes behind. Thousands of migrants have been taken to official centres all over France, where the authorities say the living conditions will be better. Once they arrive there, French officials will register them and decide where they will go to live after this. One of the big problems which the authorities faced when trying to sort out the refugees with new homes was the fact that many children travelled across Europe - and were living in the Jungle - on their own. Around 270 children who have relatives in the UK - or who were considered to be particularly in need of help - have been brought over to the UK to be looked after here.